French sewing machine - La Populaire. Legat produced the famous "La Populaire" in France during the latter years of the 19th century. 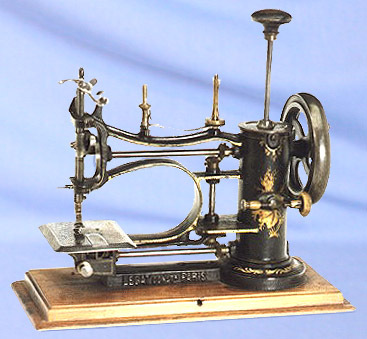 This fine-condition lockstitch machine features its original wooden plinth. Many surviving examples incorporate a cast iron base.